Following weeks of uncertainty, elections in Bangladesh are finally scheduled to take place on 30 December 2018. The polls in December will be the country’s 11th parliamentary election and come at a time when the Bangladesh Awami League’s (AL) government is facing criticism for its authoritarian moves, including the violent repression of student protestors, the attack on civil-society activists, such as the photojournalist Shahidul Alam, and a ‘war on drugs’ characterised by extrajudicial killings. The stakes are also high for the de facto opposition the Bangladesh Nationalist Party (BNP), which boycotted the 2014 polls and is looking to reenter the parliamentary fray after five years of absence. Bangladesh’s unicameral Parliament, also known as the Jatiya Sangsad, comprises of 350 seats. 300 of these MPs are elected from single-member constituencies for a five-year term through a first-past-the-post system. The 50 remaining seats, reserved for women, are populated by allocating to each party the number of seats in proportion to the number of MPs they managed to elect. Premiership is awarded to the party or alliance holding the majority in Parliament. The prime minister acts as the head of the government; Bangladesh’s presidency is only a ceremonial one, elected by the Jatiya Sangsad. The Awami League currently holds the majority in Parliament, with an overwhelming 275 seats, many of them won uncontested in the controversial 2014 elections. 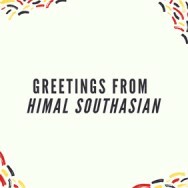 Founded in what was then East Pakistan in 1949, the party was traditionally considered secular and democratic in the country’s political spectrum and played a key role in the country’s independence movement. Officially, the opposition party in the Parliament is the Jatiya Party, a small socially conservative political party which holds 40 seats. But the AL’s main political rival is the BNP. Formed in 1978 by former army general Ziaur Rahman, the party is considered to be pro-Islamic and is not represented in Parliament as it boycotted the 2014 elections. 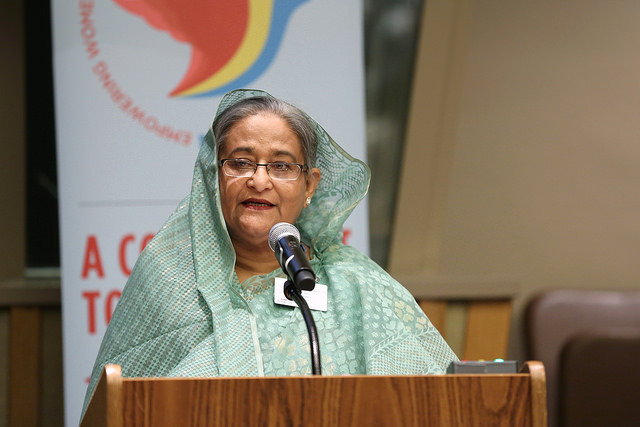 Prime Minister Sheikh Hasina, who leads the AL, has now been in power for a decade. After her first tenure as prime minister from 1996-2001, she returned to the position in 2009 and was reelected in the highly controversial 2014 general elections, which was characterised by low turnouts and political violence. Bangladesh has undergone rapid change, particularly in the economic domain, over the last decade. Owing largely to an export-led economy, the GDP has grown steadily, with an average annual growth rate of around 6 percent from 2009 to 2017. Yet these gains have been marred by increasing inequality, youth unemployment, outward migration of labour and deteriorating conditions for workers – as epitomised by the collapse of the Rana Plaza garment factory in 2013, which lead to over a thousand deaths. 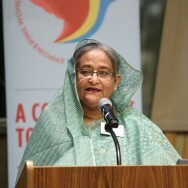 More recently, Hasina has also drawn criticism for her government’s attack on critics and excessive use of force on peaceful protestors, such as during the student protests demanding changes in the reservation for government jobs, and more recently, regarding impunity over traffic-related deaths. Over a hundred students were injured by police and pro-government student unions. A recently launched war on drugs, led by an elite anti-terror outfit called the Rapid Action Battalion, has drawn allegations of extra-judicial killings. In the sphere of media freedom, the Information and Communications Technology (ICT) Act has been labelled as draconian both locally and internationally. The most recent example of the overreach of this Act was the arrest of activist and photojournalist Shahidul Alam, who was detained for over a hundred days for a social-media post and following a critical interview given to Al Jazeera. The recently enacted Digital Security Act has further expanded state power to monitor and curb freedom of speech. Bangladesh and prime minister Hasina have, however, been lauded for the government’s acceptance of over 600,000 Rohingya refugees following a brutal military campaign against Rohingyas in the Rakhine State by Myanmar’s armed forces. After four years of politics from the streets, the BNP, which boycotted the 2014 elections in protest against the absence of a caretaker government – that had conducted every parliamentary election in Bangladesh since 1996 – will be contesting the election as part of an alliance of 20 parties known as the Jatiya Oiyka Front. When it comes to electoral issues, the BNP manifesto reflects a mix of generic promises – good governance, rule of law, transparency, fundamental rights, anti-corruption and anti-terrorism – and a reaction to the incumbent party’s recent political maneuvers. The commitment for “transparent appointment of judges and independent judiciary”, for instance, appears to be a jab at the Hasina’s government’s moves to attain parliamentary power to sack judges. 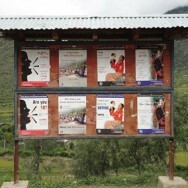 Other promises, such as the “confirmation of freedom for the mass media,” are likely attempts to capitalise on the governments’ suppression of media and free speech. The Jatiya Oikya Front alliance manifesto concurs with the BNP one, but adds a number of specific pledges. It promises to give greater powers to the government’s anti-corruption body, substantially decrease quotas for government jobs, introduce an upper chamber in the Parliament, scrap the Digital Securities Act and allow MPs to vote against their parties in the house. A Left Democratic Alliance comprising eight leftist parties including the Communist Party of Bangladesh will also contest the elections. 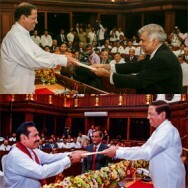 But its influence on parliamentary politics has been marginal until now. 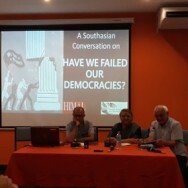 This alliance has been calling for the dissolution of Parliament and a caretaker government to oversee elections to ensure the independence of the process. Like other opposition parties, it has also demanded the abolition of the recently enacted Digital Security Act. Awami League, meanwhile, will be contesting the elections with an alliance of its own, which includes the official opposition, the Jatiya Party. AL has announced a “youth-centric” manifesto, in a possible move to court the 23.5 million registered youth voters. Sections of this base have been alienated by the harsh crackdown on student protests as well as the lack of employment opportunities. AL also positions itself as a secular nationalist party, placing emphasis on its prosecution and execution of the Bangladesh Jamaat-e-Islami leaders who were found guilty of war crimes during the 1971 Liberation War. 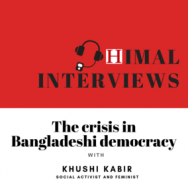 In the absence of reliable metrics – the last credible opinion poll was carried out over six months ago – how the 104 million registered voters of Bangladesh will cast their ballots is difficult to gauge. While Hasina may enjoy the forward momentum of ten years’ worth of economic growth, an anti-incumbency sentiment, fueled by the government’s anti-democratic streak, may yet swing the election in the favour of the BNP and the Jatiya Oikya Front alliance.